A contemporary and abstract still life from the Meredith Collection called Bird and Apple. Bright colors and contemporary graphic design make this a modern art piece perfect for selecting a variety of stitches or using tent stitch for all of it. 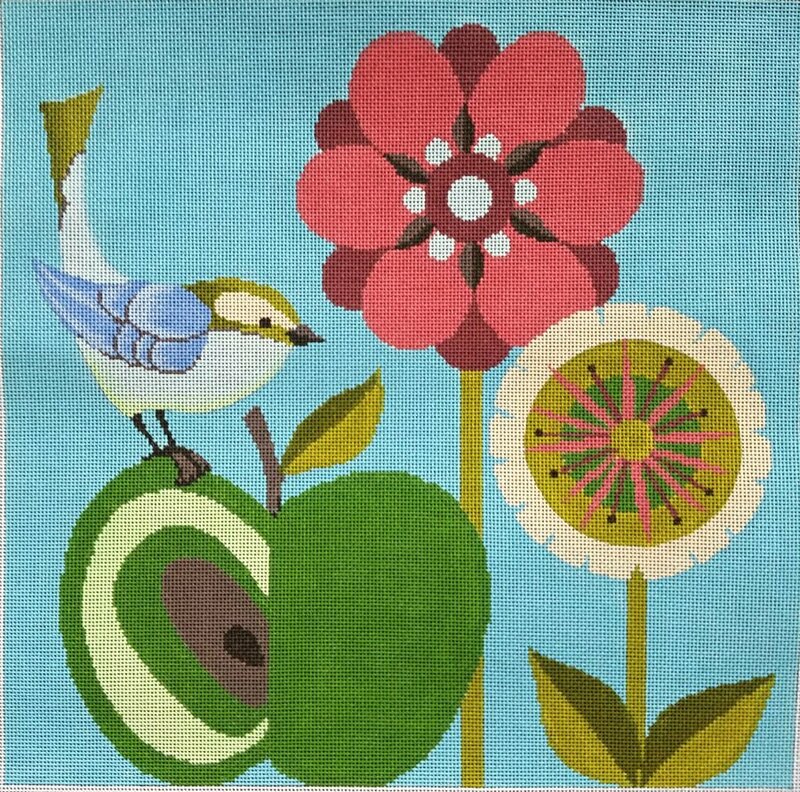 The design is hand painted onto 18 mesh mono needlepoint canvas and measures 12" x 12". This needlepoint is sold canvas-only or as a kit. We use DMC cotton floss, or Bella Lusso wool, or Pepperpot silk. If you wish to purchase stretcher bars to make a frame to hold your canvas we recommend two pair of 16" and some thumb tacks. This needlepoint canvas usually ships in a few days. You can always check availability before you order. Contact us with questions about Charley Harper handpainted needlepoint. Helenz Bag 15" x 15"